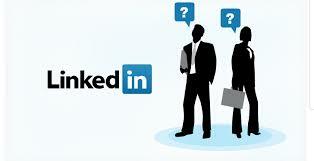 LinkedIn can be a really useful channel for business communications and staying in touch with your network. However, a number of retailers have recently briefed us to handle searches after they have spent significant time using LinkedIn as a candidate search resource without success. A LinkedIn search can certainly provide a starting point but a huge amount of time is needed to filter and interrogate the data and it is still critical to invest time in undertaking face to face interviews to get a sense of chemistry and personality. Of course, this assumes that LinkedIn represents a comprehensive view of available talent whereas, in reality, many don’t use it or have lapsed. Some recent comments on LI forums complain of extremely inaccurate and unverifiable metrics with regard to ads placed on LinkedIn. We have recently been told that only 3% of users are search professionals which (if true) means that busy people are going to be bombarded constantly by the ever-increasing number of out of work professionals, desperate to broaden their network. Even companies with in-house resourcing teams can’t hope to keep up with such an onslaught of approaches – so much better to pay a professional search firm to sort the wheat from the chaff! We are well aware that slashed budgets mean headhunters can be a luxury you feel you can’t afford, however in the long term it will almost certainly pay off. A great search firm will never just rely on LinkedIn and its limited networks – only a delicate blend of mapping, research, referrals and a deep knowledge of the market will ever deliver the best person for the job. Of course, they may start with the internet but failing to access candidates not present online and a lack of screening means an internet based search can lead to wasted time and money. We watch with interest to see whether bosses will continue to find Executives through LinkedIn, or if the bubble is finally bursting and they are recognising the value external expertise can bring to finding the best talent in the market.